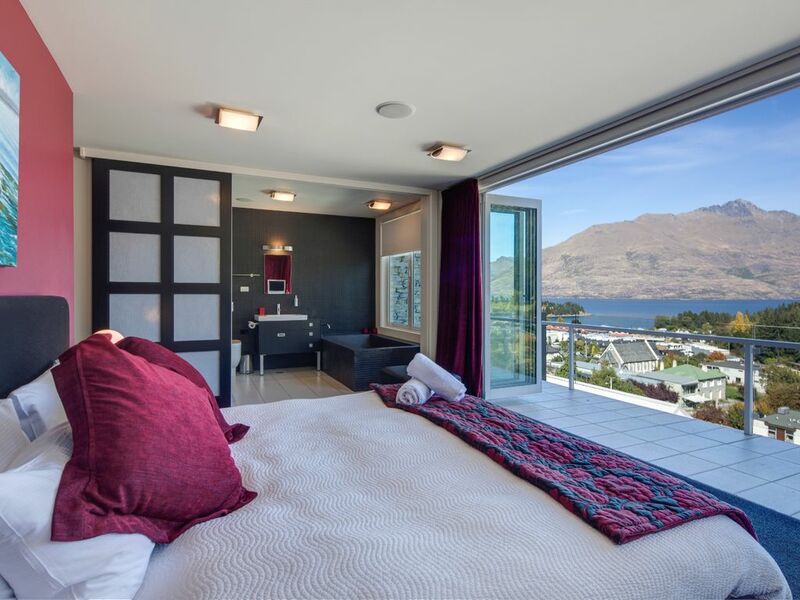 Our luxury holiday home has unsurpassed views of Queenstown Village, Lake Whakatipu and The Remarkables. Our property can be rented as a one, two or three bedroom apartment. We also provide our guests with a complimentary meet and greet service, a food and wine hamper to get you started and the services of an apartment manager 24/7. The apartment is a 5 minute walk to Queenstown Village, a 30 minute drive to Coronet Peak and the Remarkables and a 40 minute drive to the Cardrona Ski Fields. So, whether it's business or pleasure our holiday home is your perfect home away from home. if you don't believe us then ask our past guests, family and friends. Everyone that has ever stayed in our holiday home has come away loving every special moment. House Rules: No loud parties. On departure you are to leave the house locked up, lights and appliances turned off, BBQ clean (if used). The house should be tidy with dishes done and rubbish put in the big bins – our housekeeping staff will take care of the rest. I have a small company called The Butler which looks after properties in Queenstown - and feel fortunate to live in this beautiful place all the time. Having been in the "Service Industry" in various roles and travelled extensively I can help our guests have a great holiday. During my free time I indulge my passion for photography, golf as well as enjoying evening walks and dining out with friends. Large open wood fireplace We provide the firewood. Variety of pantry items available in upstairs kitchen. Minimal items in studio. Guests free to use pantry items the only thing the owner asks is that if you use the last of something you replace it. There is a collection of board games for guests to use. We can organise a private chef, massage, babysitters or anything you need - just ask us - these items are at the guests expense. Staying at this home was such a wonderful experience. There are so many good things to say about our stay. Communication from the owner was thorough and thoughtful from the emails to quick texts to an organized and detailed binder at the home with ALL pertinent information regarding the home and town. Upon entry the home was very clean. We had a wonderful food basket waiting for us with a few items in the refrigerator also. There was even a lovely bottle of champagne! The kitchen was very well stocked. All the dishes and utensils were there to make a feast, including spices, oils, coffe, tea. The view! Oh, the view! Amazing. (My husband said they needed to retake the pictures of the view because the pictures just don’t do it justice. But, of course, this is New Zealand, and no pictures can quite capture its beauty.) I loved the fact that both the main living space and the master bedroom had doors that completely opened to the outside. We enjoyed a lovely breeze and gorgeous sunsets in the evenings. Location, location, location! It was just a short walk down the hill to town (7 minutes). The walk up was a bit challenging. We only did it once, but a quick, cheap taxi ride can get you back up to the house in about 5 minutes. Queenstown was hopping in mid January. We enjoyed lovely walks, some nice shopping and excellent food (not quite Paris but yummy food and friendly service). We will be back! Many, many fond memories in New Zealand and this beautiful home.